Mounties marching in Juneau, Alaska. Alaska might have been Canadian if Seward hadn't acted. Did we get our money's worth when we bought Alaska from the Russians? It only cost $7.2 million in 1867, but David Barker wonders if the U.S. taxpayers might have been better off without it: Was the Alaska Purchase a Good Deal? Nancy Hooper, 5th Grade Tununak School Ms. Boonstra's class, second place entry in Alaska Department of Fish and Game Sport Fish Regs Cover Art Contest, 2001. Tununak is a small town on Nelson Island. For many years non-Native sport fishermen have come to the Yup'ik homeland in Western Alaska for the salmon, trout, and grayling fishing. Sport fishermen may catch (and commonly release) ten or twenty fish a day. The sport fishermen bring cash and, since they are practicing catch-and-release fishing, the resource - which the Yup'ik use for subsistence - isn't being damaged. Why should the Yup'ik care? Elizabeth Bluemink reports: Alaskan Gold production highest since 1916 (Anchorage Daily News, November 8, 2009). Fort Knox mine. Source: Kinross Gold Corporation. Alaska produced about 800,000 ounces of gold in 2008 - the largest amount since 1916 ( High as that output is, Alaska currently only accounts for ten percent of U.S. gold production). Almost all, about 84 percent, came from two mines - the open pit Fort Knox mine near Fairbanks, and the underground Pogo mine near Delta Junction. About five percent of the gold came from small scale placer mining. The cost of living differential between urban and rural Alaska has increased since 1985 - an important reason is the introduction of "big box stores" in urban Alaska. Pat Forgery has a nice piece in today's Alaska Empire summarizing testimony to the Alaska House Finance Committee by McDowell Group economist Jim Calvin: Urban, rural cost divide widens. The McDowell Group was hired by the state to look at regional cost-of-living differentials. This study will be used in labor negotiations. In the summer of 1900 King Island was hit hard by disease. R. Newton Hawley, surgeon on the U.S. Revenue Cutter Bear, visited the island in July and again in August and published a short account in 1901 (The World's Work, search for "Arctic Cliff Dwellers"). The Bear off Cape Romantzoff in early June, 1900. About a month before she reached King Island. Source: U.S. Coast Guard Historian’s Office. Americans began trading in the Pacific in the 1780s. Trade was interrupted by Jefferson’s embargo and the War of 1812, but subsequently small American ships crisscrossed the ocean with cargoes of furs from the Pacific Northwest, sandalwood from Hawaii, copper from Chile, ginseng from the U.S. Appalachian Mountains, and silk and tea from China (Old China Trade). Far to the north, beyond the Aleutian Islands and the Bering Sea, Eskimos, Chukchis, and Russians traded across the Bering Strait. Furs from America moved west, in exchange for glass beads and iron. Coastal and island Eskimos were active intermediaries. Briefly, in 1819 and 1820, Americans from the Pacific tested the waters in the Bering Straits: two American brigs, the General San Martin and the Pedlar, explored regional trading opportunities. King Island flits into sight in journals and reports of these visits. In the early 1990s, Alaska's Board of Fisheries had to address a controversy over the feeding of subsistence fish to dogs used for commercial purposes. To provide some background, David Anderson prepared a paper on the use of dog teams in the Yukon River drainage, and their fish consumption, for the Alaska Department of Fish and Game's Division of Subsistence. Anderson described the evolving role of dog sledding in the regional economy: The Use of Dog Teams and the Use of Subsistence-caught Fish for Feeding Sled Dogs in the Yukon River Drainage, Alaska. From the late 1940s until the early 1970s hunting guides in Alaska took their clients in airplanes out over the Chukchi and Beaufort Sea sea ice. When the guides found a bear on the ice, they would try to land and give their clients a chance to hunt. At times the planes were used to herd the bears towards the waiting hunters. The hunt and some of its economics were described by U.S. delegations to early (1965-1974) international meetings on the status of the polar bear. I think that much of the following material was prepared by Jack Lentfer, a government bear biologist who attended these meetings. Here is a map for orientation. The hunts originated in six or seven small communities in Northwest Alaska. 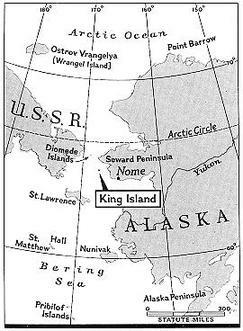 Little Diomede Island, which you will read about, is right in the Bering Strait. The U.S. bought Alaska in 1867, but it really didn't have much of a presence there, and especially not in more remote areas like the Bering Sea, for many years. The Treasury sent a revenue cutter into the Bering Sea in 1870, and again, nine years later, in 1879. In 1880, the revenue cutter Thomas A. Corwin entered the Bering Sea under Captain Calvin Hooper. At Hooper's recommendation, regular annual cruises by revenue cutters were began in 1881. Hooper and the Corwin made the 1881 cruise. In the late 19th Century these patrols were the face of the U.S. government in the Bering Sea. The cutters had a lot of jobs. They tried to interrupt the regional trade in liquor and rifles, investigated vessel disappearances, conducted search and rescue efforts, provided logistical support for the census, moved people around within the region, helped the shipwrecked get home, suppressed fur seal poaching, shipped reindeer from Siberia to the U.S., and carried out geographic and scientific research. Science was important right from the start In 1881, John Muir was the cruise glaciologist. 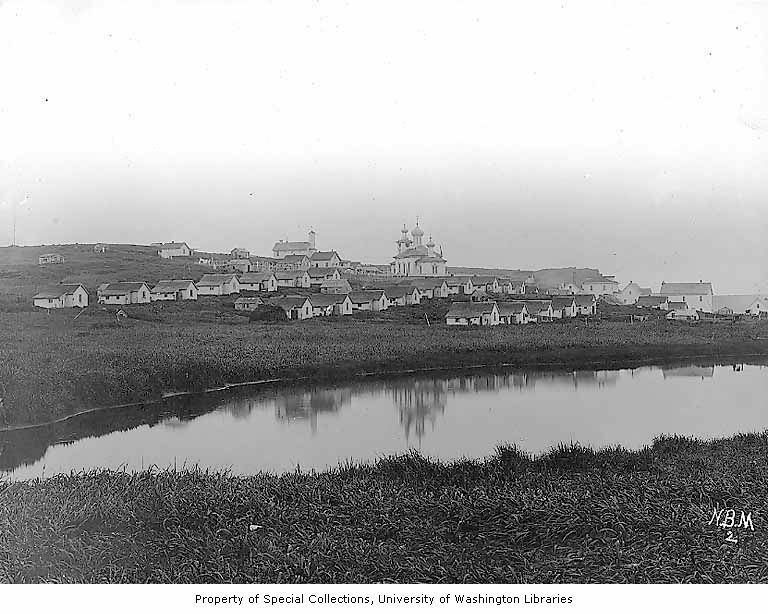 On a shore stop at the western Alaskan port of St. Michael, the Corwin picked up an employee of the U.S. Signal Service, the naturalist and ethnographer, Edward Nelson. The Coast Guard, a successor agency to the Revenue Service, dates its participation in oceanographic work from this trip. Captain Hooper, made several attempts to gather information about currents from the Bering Strait (Oceanography in the Coast Guard). The Corwin had left San Francisco on May4 and arrived at Unalaska in the Aleutians on May 17. Thereafter she performed various missions in the Bering Sea and Arctic, arriving at St. Michael in Norton Sound on July 4. She departed St. Michael on July 9 and sailed north and then west along the south side of the Seward Peninsula. She arrived at King Island on the morning of July 12. In 2005 the President signed legislation that Congress hadn't passed. The bill in question authorized money for transportation projects and earmarked a lot for particular projects. Sometime after Congress passed the legislation, and before the President signed the bill, someone secretly rewrote one of the earmarks. This was the Coconut Road earmark for highway work in Florida (Allocating scarce resources among competing transportation projects, Ben Muse, August 25, 2007). There's some reason to believe Alaska's only Congressman, Republican Don Young, who was Chairman of the House Transportation Committee at the time, was involved. I'm reminded of this because the Senate voted 64 to 28 yesterday (Apr 17) to ask the Justice Department to look in to what happened: Justice asked to probe Young earmark (Erika Bolstad, Anchorage Daily News, Apr 18). Thursday, support for the Justice Department investigation, sponsored by Sen. Barbara Boxer, D-Calif., drew an unlikely coalition of Democrats and Republicans, many of whom said they were concerned about the integrity of their legislative process. Twenty of the votes of support came from Republicans, including Sen. Mitch McConnell, R-Ky., the Senate minority leader. Young is connected to several ongoing investigations. He has spent $1.1 million from his campaign fund recently on lawyers: Young's legal fees surpass $1 million (Erika Bolstad, Anchorage Daily News, April 16). 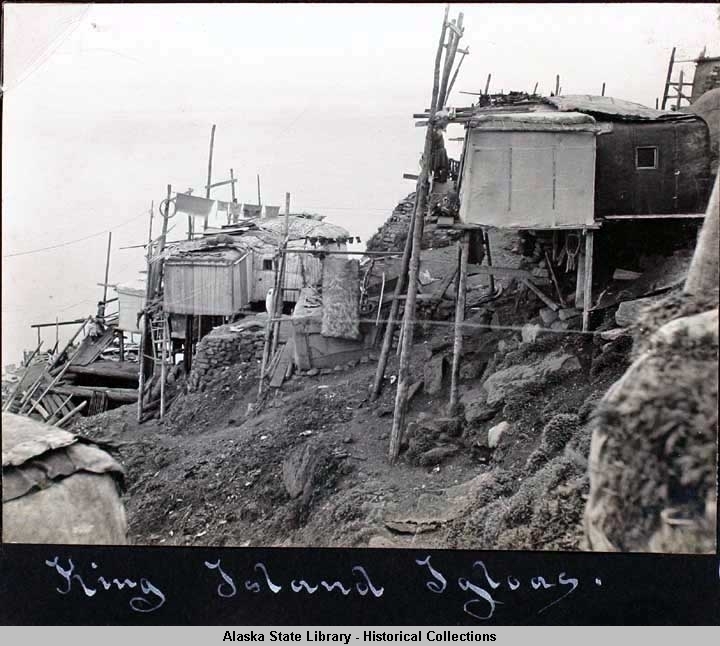 Of course Alaska's King Island had a long history before it entered the written record. During the Ice Age, when the land bridge connected Asia and America, the island's cliffs must have risen dramatically from the surrounding plain. Maybe it had a magical significance for the people who lived near it or passed it. Later the sea rose around it, cutting it off from the mainland. Later still, it became a platform from which people could harvest seals, walrus, polar bear, fish, and birds. The people who lived on it, or who traded or raided with it, certainly had an oral history and tradition. But the written record begins in July 1732. 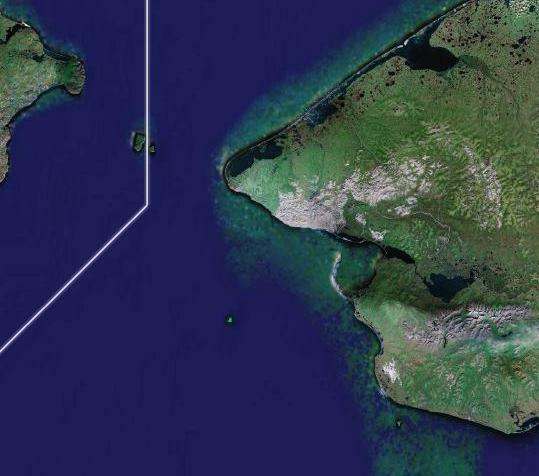 This Google map of the Bering Straits shows the key places in the story. On the left is Cape Dezhnev on the Russian mainland. The white line is the current U.S.-Russia boundary. There are two islands in the upper part of the picture astride the international boundary. Big Diomede is on the Russian side, Little Diomede is on the U.S. side. The point of mainland on the U.S. side is the end of the Seward Peninsula, culminating in Cape Prince of Wales. South of this Cape is a small island - King Island. To the southeast of King Island, just off the southern shore of Seward Peninsula is another small island - Sledge Island. King Island is a small rocky island in the Bering Sea, just south of the Bering Straits. For many years it was home to a small group - perhaps 200 people - of Inupiat Eskimos. When they were on the island, they lived in the village of Ukivok, which clung - impossibly - to the sheer rocky south side of the island. But they didn't spend the whole year on the island. In June they migrated to the mainland where they lived in a summer camp at Nome, hunted, fished, gathered, and worked and sold carvings to raise money. In October, when the weather began to get really cold, of all things, they left the relatively large and modern support network in Nome and migrated back to their barren rock to spend the winter largely isolated from contact with others. During the winter they lived an unexpectedly comfortable life in homes perched on stilts (to level them out on the steep slope). The Bureau of Indian Affairs supported a small school and coop store, and the Catholic church maintained a priest and church. They exploited a wide range of resources - fishing for fish and crab through the ice right in front of town, harvesting seals, polar bear, and walrus from the ice around the island, and harvesting small plants, birds, and bird eggs from their rock once the spring and early summer had come. Global warming is going to increase the costs of maintaining Alaska's public infrastucture (roads, bridges, sewage systems, buildings, airports). A warming climate will damage Alaska's infrastucture because it was designed for a cold climate. The damage will be concentrated in places where permafrost thaws, flooding increases, and coastal erosion gets worse. But the extra costs will likely diminish over time, as government agencies increasingly adapt infrastructure to changing conditions. When the last transportation bill became law, it contained an earmark for an interchange south of Ft. Meyers, between Southwest Florida's I-75, a key regional highway, and Coconut Rd. Because a controversy rose about the funding of this interchange, many interesting facts about it are becoming public. The story is a - hopefully atypical - case study of the political allocation of scarce resources among competing ends. What's Alaska's Congressional Delegation Been Up To? Scratch that - this one did get away. The heart of the issue has been the allegation that the senator and her husband, Verne Martell, purchased a lot on Kenai River for less than its value. Many years ago, I worked as an appraiser. I don't claim expertise, but was curious enough to make a few phone calls. Murkowski and her family wanted to purchase land on the Kenai River to build a home. Bob Penney, who is a lifelong friend of the senator's and is not involved in any matters before Congress, owned a parcel of land next to his home. Penney is fortunate that he doesn't have to sell the land, but was interested in guaranteeing that he could pick his neighbors. The sale imposed conditions through an memorandum of understanding signed by all parties on December 14. If Martell and Murkowski sold the property within five years, Penney would have both first right of refusal as well as 50 percent of any appreciation over the original sale price. When a sale carries restrictions such as first right of refusal or ceding a portion of profits from a future sale back to the seller, the full and true value can be significantly less. The senator, Martell and Penney knew that because of the senator's position they would have to establish a fair selling price. They agreed upon the property's assessed value. Alaska statute requires that "the assessor shall assess property at its full and true value as of Jan. 1 of the assessment year" and "the full and true value is the estimated price that the property would bring in an open market and under the then-prevailing market conditions in a sale between a willing seller and a willing buyer both conversant with the property and with prevailing general price levels." The local government assessment is the only government-established, valuation of property in Alaska. Unfortunately, based on allegations on a Web site calledTPMMuckracker and several generalized quotes from Realtors about asking prices, theAnchorage Daily News adopted the position that assessments represent artificially low values. It did so without any consideration of deed restrictions or analysis of comparable properties, and without talking to Shane Horan, the Kenai Borough property assessor. (I had no trouble reaching him), or any appraisers working in the area. This is the core of his op-ed. Campbell stops short of drawing on his research to make the case that in this instance the appraised price was actually about equal to the market price. That seems strange to me, because the rebuttal would have been much more forceful if he had. When can fewer dentists mean better dental care? This became Juneau's second snowiest winter on Friday (I think the systematic records go back 64 years). Over 15 feet of the stuff has fallen into my driveway this winter. By dawn this morning there had been 190 inches at the airport. The record of 194.3 inches was set in the winter of 1964-65. Snow on the 17th left us 1.9 inches short. The 18th was sunny and warm. Over the top sometime in the early morning of the 21st: 194.6 inches - but it's warmer,windy, and turning to rain today - lots of concern about the snow/rain load on roofs, a flood "advisory," and avalanche danger is "extremely high." We have roads and neighborhoods that sit right in avalanche chutes. King Island takes up about two to four square miles of the Bering Sea, just south of the Bering Strait. It's about 30-40 miles from the U.S. coast. In the winter it’s surrounded by the Bering Sea ice pack. 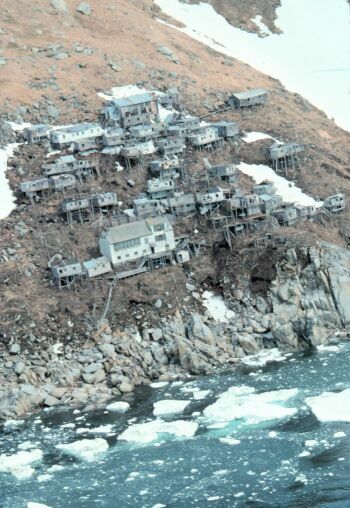 Until the late 1950s - 1960s it was home to about 150-200 Inupiat Eskimos in the village of Ugiuvak (or Ukivok, also the Inupiat name for the island). Ugiuvak clung to the side of a cliff, on the south side of the island. I’ve posted on King Island before, here, and here. The next picture was taken many years before, but it gives a good idea of the way the houses were built. They weren't built on dirt foundations dug into the slope, but were built on platforms perched on long poles. Hunting was important for King Islanders in the 20s and 30s - it was a source of food, clothing material, everyday items, building materials, and trade goods. Tiulana says that others in the village began to teach him hunting skills when he was about 10, although he must have picked up a lot before that. A week or so ago, The Economist had an article on recent shipwrecks and shipping accidents on the great circle route between the U.S. West Coast and East Asia (The North Pacific great circle route. A cold coming We had of it., Jan 18 - subscription required). Vessels traveling between East Asia and the North American West Coast actually pass both north and south of the Aleutians. My understanding is that most vessels on the route north of the Aleutians pass from the North Pacific into the Bering Sea at Unimak Pass, to the east of Dutch Harbor, rather than to the west as shown. The Coast Guard has begun monitoring traffic through the pass. I think vessels are passing through it at the rate of about 3,100 vessels a year. The Economist article gives me an excuse to post some striking photos of the M/V Cougar Ace. Last spring [Spring 2003, this is an older story - Ben], about 10 members of the Fairbanks troop and their families helped catch two beavers using snare and lethal traps. The girls were taught how to find the animals' dens and how to lay the traps. Working under close supervision, the girls used knives to skin the beavers. The state-run Take a Kid Trapping program is aimed at controlling flooding and other damage caused by an increasing number of beavers along the lower Chena River in Fairbanks. It is open to kids as young as 7. The worst shipwreck in Alaska's history took place on October 25, 1918. The evening of October 23, the Canadian Pacific Railroad steamer Princess Sophia left Skagway Alaska for Juneau. Early the next morning she ran aground on Vanderbilt reef, about 30 miles north of Juneau. In the early evening of October 25, she sank. Although she sat on the reef for about 40 hours, her crew and passengers were never taken off and all died. There were over 350 men, women, and children on board. The Sophia sank in Alaskan waters, but she was a Canadian ship, and a large proportion of her passengers were residents of Canada's Yukon, heading south for the winter. In 1918 the gold rush to the Yukon's Klondike was long over. The Yukon had since settled down. Each fall, a large part of the non-Native population emptied out of the territory. Residents could come up the Yukon on stern paddlewheelers to the head of navigation at Whitehorse. There they could take a train to the port at Skagway, and catch a ship south, through Southeast Alaska's Inside Passage. Here's a shot of the Sophia in happier days. It's pretty dark in Alaska right now. Of course the shortest day came shortly before Christmas. In Juneau, the light that day lasted about 6 1/2 hours. But Juneau's daylight might not be considered real daylight elsewhere. Clouds screened out a lot of the light we might have had. Moreover, the sun lies low on the horizon, even when it's up, and much of the time we're in the shade of the mountains that crowd close around us. Winter is a drag to some extent for one out of five Americans, studies suggest. A smaller fraction - mostly women and young adults - suffer from Seasonal Affective Disorder, a type of depression stemming from decreased daylight. Nearly 10 percent of Alaskans suffer from the disorder to some degree, according to a 1992 study published in the American Journal of Psychiatry. Symptoms include lethargy, a heightened desire for sleep, cravings for carbohydrates, feelings of melancholy, fuzzy thinking and loss of libido or sociability, said Suzanne Womack Strisik, an assistant psychology professor at the University of Alaska Anchorage. Severe cases can be debilitating, even prompting thoughts of suicide. Experts say, however, suicide rates actually peak with increasing spring light. "You don't have enough energy to make a plan before then," Ms. Strisik said. "It's too much trouble. Once the light starts coming back, there's more energy, but reasoning is still off. " Apparently the great influenza pandemic of 1918 was caused by a type of avian flu: 1918 Killer Pandemic Was An Avian Flu . David Brown reports part of the story behind this discovery: Resurrecting 1918 Flu Virus Took Many Turns (Washington Post, October 10, 2005). Key evidence came from the body of a woman who died in the Eskimo village of Teller Mission, on the Alaskan shore of the Bering Strait. (Teller Mission is now called Brevig Mission). The flu killed 72 persons of the town's population of 80 between November 15 and November 20, 1918. Officials at the U.S. Army base at nearby Fort Davis brought in gold miners from Nome to dig a collective grave. Using steam generators, the miners melted a long rectangular gash in the earth. The victims were each tied with a rope around the chest, dragged across the ice, and laid side by side at an army regulation depth of six feet. Two tall wooden crosses, visible atop the bluff from the sea, marked the grave. Elizabeth Pinson was six years old in 1918. Her father was a German who ran off to sea to escape recruitment into Bismark's armies, her mother was an Eskimo. Pinson spent the summer of 1918 in fish camp. In the fall, instead of going with her parents to Teller, she went to spend a few weeks with her grandparents in nearby Teller Mission. The weather was bad in the fall of 1918, and her parents delayed picking her up from her grandparents. 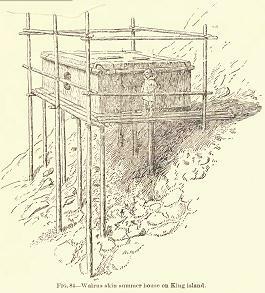 Their one-room igloo was atop a forty-foot bluff that sloped steeply to the sea near the waterfall where Papa's whaler and other ships loaded water in drums to take aboard ships. Theirs was a typical Eskimo dwelling. The main floor of the earth igloo was dug about three feet into the ground. The frame was a foundation of split driftwood covered with squared chunks of tundra that eventually sodded over. On the walls hung reindeer hides that kept out the drafts. A skylight and a small window let in some light and the entrance was a low door about five feet high. As you opened the door to enter, you had to step down about two steps to the main floor, which was partly boards and partly earth. ...Now there are scarcely any sod igloos left such as we lived in when I lived with my grandparents. Those that are left are decaying with time, just hollowed out places in the ground overgrown with tall grass, and the whalebone and driftwood frames have disappeared into splinters. Mark Nelson is spending the summer in Southeast Alaska, working as a tourist guide on the Mendenhall Glacier He's posting some nice photo's on his blog, OutdoorsPro. 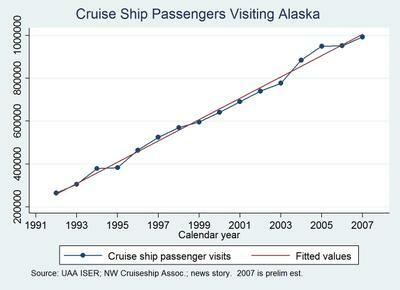 During the summer tourists from cruise ships pour through Juneau at the rate of something like 10,000 a day. Many of them take a helicopter tour up to the ice field and its glacier. Once up on the glacier, many tourists can take a ride in a dog sled . Big topic of conversation in Juneau this summer - this yacht, which has been anchored in our Auke Bay for many weeks: New Feature! Yacht of the Week! . Tuntutuliak is a small, remote, Yup'ik Eskimo village on Qinaq River, about 40 miles from the Bering Sea. It has maybe 400 residents. It's 450 miles west of Anchorage. The state's road net doesn't come anywhere close. You fly in and out. Barge traffic comes in about six times a year. Boats and snow machines are used for travel in the immediate area. David Miller moved out there from Philadelphia a year ago, to teach. And he started a blog: To Philly, From Alaska, w/love. 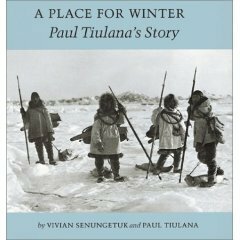 You'll find short, well-written stories about daily life in Tuntutuliak, with lots of good pictures. Take a walk to the dump, catch a plane to nearby Bethel, celebrate Slaaviq. Alaska's native corporations are turning up in unexpected places, report Robert O'Harrow and Scott Higham in last Thursday's Washington Post: "Alaska Native Corporations Cash In on Contracting Edge"
"In July 2002, U.S. Customs Service officials announced they were preparing to award a half-billion-dollar contract for maintenance of thousands of gamma-ray, X-ray and other scanning machines at the nation's ports and borders. Some of the nation's biggest defense contractors, including Lockheed Martin Corp. and DynCorp, were asked to consider bidding for the work. Chenega did offer Customs officials a unique opportunity. By hiring Chenega, Customs could avoid the slow and costly competitive bidding process for government contracts that is designed to ensure that taxpayers get the most for their money. Chenega Technology Services Corp. is one of more than 200 privately held Alaska Native Corporations permitted to operate as disadvantaged small businesses as part of government efforts to encourage Native American participation in federal contracting. The corporations have benefited from legislation introduced by members of Congress, most prominently Sen. Ted Stevens (R-Alaska), the powerful chairman of the Senate Appropriations Committee. Alaska Native Corporations can maintain their small-business status, even if their parent companies have millions of dollars in revenue and thousands of employees. They are exempt from the $3 million federal cap on no-bid service contracts that are in place for other minority small businesses. The corporations do not have to be run by Native Alaskans. And they can subcontract much of their work to other firms, but their employees must do at least 50 percent of the work." What are these Alaska Native Corporations? "Chenega Corp., the parent of Chenega Technology, was formed as an Alaska Native Village Corporation in 1974. Three years earlier, the federal government had settled historical land disputes under the Alaska Native Claims Settlement Act. The act created a network of 13 regional and more than 200 village corporations to handle $962 million and 44 million acres from the federal government. They were also given the right to operate as profit-making businesses." "In their first 20 years of operation, many of the Alaska Native Corporations struggled, with several teetering on the edge of financial ruin. Then, in the early 1990s, Stevens and other lawmakers stepped in. Stevens, 81, a senator since 1968, has enormous clout on Capitol Hill as chairman of the Senate Appropriations Committee. He introduced language that changed the Alaska Native Claims Settlement Act in 1992 to enable the corporations to be treated preferentially as small businesses for federal contracting. Stevens also introduced language that negated, for contracts awarded to corporations owned by Native Americans, a Defense Department requirement of elaborate cost-benefit analyses before government work could be outsourced to private companies." The article doesn't suggest that Chenega does poor work. P.S. December 1: Today's Anchorage Daily News carries a story by Robert O'Harrow of the Washington Post indicating that the Transportation Safety Administration (TSA) has decided not to award Chenega a similar sole-source technology maintenance contract, that had been under consideration: "TSA opts for bids; Chenega bows out . MAINTENANCE: Native corporation was in line for sole-source contract". "The Transportation Security Administration this week said it would resume plans to seek bids for a large technology maintenance contract, ending consideration of a proposal to give the work to an Alaska Native corporation without competition. The TSA had been considering whether it might speed up the maintenance work by awarding the contract to Chenega Technology Services Corp., one of more than 200 privately held Alaska Native corporations permitted by Congress to sidestep normal procurement rules because of their status as disadvantaged small businesses. Chenega Technology had earlier secured a $500 million sole-source deal with U.S. Customs and Border Protection to maintain that agency's screening machinery. In a meeting last month attended by Chenega executives and by staff members from the offices of Alaska's Republican senators, Lisa Murkowski and Ted Stevens, TSA officials were urged to piggyback on the Customs contract. The proposed contract covers maintenance work for the metal detectors, X-ray machines and Explosive Trace Detectors at the nation's 450 commercial airports. The contractor is to take over for Boeing Co., which was paid $1.2 billion under a competitive contract that was criticized by the Department of Homeland Security's inspector general for more than doubling in size. The TSA suspended plans for a competition after meeting with Chenega Technology officials in October. In a letter to contractors on Nov. 15, the agency said it "has been made aware of an alternative approach" to award the contract and needed to "exercise due diligence" to determine whether the approach had merit. On Monday, TSA officials dropped that idea. "After carefully reviewing the options and weighing the opinions of the experts, the TSA concluded that the competitive bidding process provides the right avenue to a contractor that will provide the government the best value," said Rear Adm. David M. Stone, the assistant secretary of homeland security for the TSA. "As good stewards of the taxpayers' dollars, we can do no less..."
I've linked to the unbelievable Alaska photos of Norio Matsumoto for a long time. Today's Juneau Empire has a profile of Matusmoto by I-Chun Che: "To capture the aurora". "The cave is about 20 degrees below. It's actually pretty warm when it's 40 degrees below outside," Matsumoto said. When the weather is nice, he stays up all night waiting for the peak of the aurora borealis. He uses Nikon FM2 and F3 cameras because they don't need batteries. He has to hold his breath when looking through his viewfinder because his breath might freeze the camera. When snowstorms sweep through the glacier and visibility is low, he reads books he has brought from Japan. He keeps a journal... For entertainment, he once hammered nails with a frozen banana through his books." in the Washington Public Schools". "The wooden-hulled 191-foot steam ship was launched in Bath, Maine, in 1885 as the Haytian Republic. It was to haul goods in the West Indies trade. According to a 1955 article in the Alaska Sportsman, the government seized the vessel in 1888 and charged its captain with smuggling arms to the Hippolyte rebels. The crew was sent home after one died from yellow fever. Strong winds blew the ship onto the rocks, and a Haitian ship rammed it. Its owners sent the vessel around Cape Horn to supply Alaska canneries and whaling bases. That work never panned out, but by 1892 the ship was making money by hauling contraband, customs agents suspected. The uninsured Haytian Republic burned and sank near Portland, Ore., allegedly with illegal opium on board. It was raised and repaired and caught several times smuggling Chinese laborers and opium into Canada. U.S. Marshals ordered the ship sold. The new owners overhauled the vessel and renamed it the S.S. Portland. 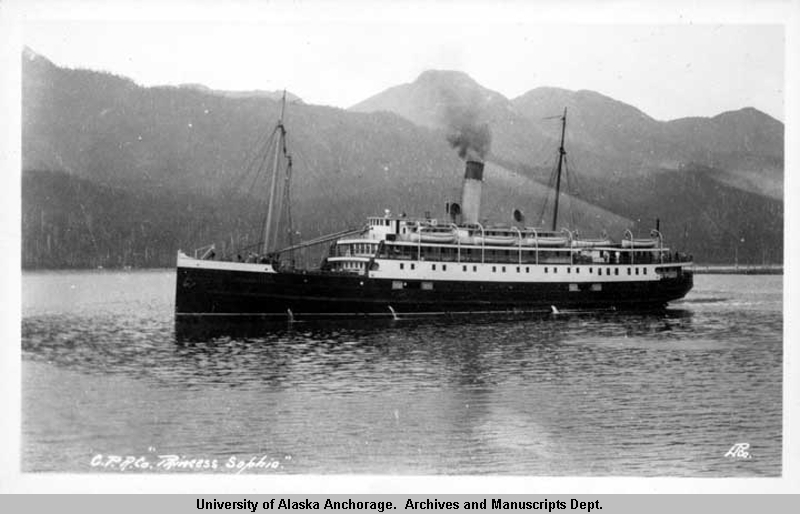 The Portland was among about two dozen Alaska coastal steamers hauling freight and passengers when gold was discovered in the Klondike in 1896." Here is a site with a picture of the Portland: "Klondike Gold Rush". 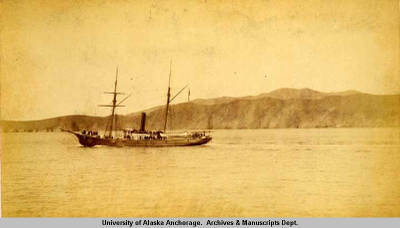 After the gold rush, the Portland operated off of Alaska. It hit a rock off the Gulf of Alaska coast in 1910, and was apparently beached near the Katalla River (somewhat to the east of Prince William Sound). Gradually the ship was covered by silt. The 1964 "Good Friday" earthquake lifted this area about 12 feet. Subsequently the silt was eroded, exposing the ship - fairly well preserved. Liz Ruskin reports on Alaska senior senator Ted Stevens' business venture with Anchorage developer Bob Penney in today's Anchorage Daily News: "Stevens-Penney venture pays well, at least on paper". ...The Utah development "is one where we asked Ted to come in and join us because we'd like to have him for a partner out of due respect and our way of giving him a thank-you and consideration for what he's done for all of us and all our kids," Penney said. When you look for business partners, it makes sense to choose from people you like and admire rather than strangers, Penney said." In December 2003 I posted on two genres of Stevens' stories: (a) stories about how much money he brings to Alaska as chair of the Senate Appropriations committee, and (b) stories about his connections with Alaska business figures and their profitable investments together: "It helps to have a Senator on the Appropriations Committee"
Two earlier posts referenced in December - Last summer Liz Ruskin reported on Stevens' connections with Anchorage developer John Rubini: "Business and politics" Also last summer the Associated Press reported that "Alaska gets $1.91 back for every $1.00 in Federal taxes"
That's downtown Juneau in front of you (capital of the nothernmost, westernmost, and easternmost of the United States) lying along the shore at the foot of Mts. Juneau and Roberts. 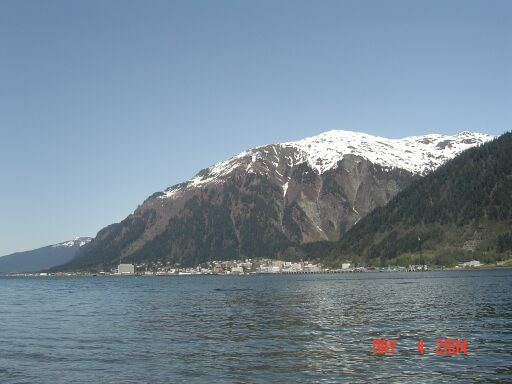 You can't drive to Juneau, the road runs only five miles to the south and only about 40 miles to the north. We're cut off by the sea, mountains and glaciers and ice fields. You can only fly in, or come in by boat. The harbor in front of you is busy in the summer. 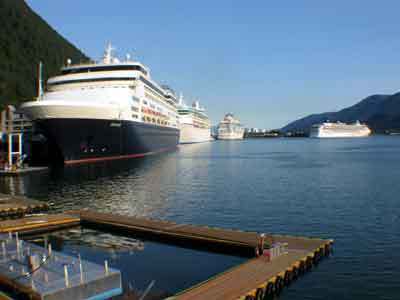 Juneau is a popular cruise ship destination, and the first cruise ship of the year will come in tomorrow. All summer long there will be a steady stream of large cruise ships, Coast Guard cutters or buoy tenders, gillnetters, seiners, longliners, a Navy ship on the 4th of July, kayaks, tenders to and from the cruise ships, the occasional fabulously luxurious yacht, tugs with container barges, and lots of recreational sail and motor boats. About 30,000 people live here. I work in the Federal Building, the large building, separated from the others, on your left in the picture. If you'd like to check the docks to see if there's a cruise ship in, use this web cam. Here is a web cam that will give you a close up of the downtown. These two web cams are on the library, and face in opposite directions. The Anchorage Daily News has begun running a series of excerpts (free registration required) from a new book by Charles Wohlforth, The Whale and the Supercomputer. I've been working on a project connected with Aleutian fisheries recently, so I've been thinking about the Aleutians a lot at work. The Aleutians are pretty barren. There are no trees and no wood for construction. The weather is brutal. But the Aleuts, the Unangan, thrived there for thousands of years. Marine resources, including whales, were very important to them. 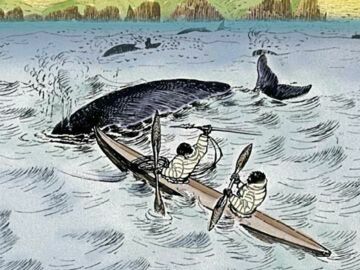 The native craft was the kayak - but how do you hunt whales from kayaks? This is taken from the cover of the Aleut Corporation's 2003 Annual Report. This is a colorized version of an original 1883 drawing by Henry W. Elliott, a U.S. Treasury officer and a conservationist, who spent a lot of time out there in the late 19th Century. "The native hunter used, as his sole weapon of destruction, a spear-handle of wood about six feet in length; to the head of this he lashed a neatly-polished socket of walrus ivory, in which he inserted a tip of serrated slate that resembled a gigantic arrow-point, twelve or fourteen inches long and four or five broad at the barbs, and upon the point of which he carved his own mark. In the months of June and July the whales begin to make their first inshore visits to the Aleutian bays, where they follow up schools of herring and shoals of Amphipoda, or sea-fleas, upon which they love to feed. The bays of Akootan and Akoon were and are always resorted to more freely by those cetaceans than are any others in Alaska, and here the hunt is continued as late as August. When a calm, clear day occurs the natives ascend the bluffs and locate a school of whales; then the best men launch their skin-canoes, or bidarkas, and start for the fields. "Two-holed" bidarkas only are used. The hunter himself sits forward with nothing but whale-spear in his grasp; his companion, in the after hatch, swiftly urges the light boat over the water in obedience to his order. Carefully looking the whales over, the hunter finally recognizes that yearling, or the calf, which he wishes to strike; for it is not his desire to attack an old bull or angry cow-whale. He calculates to a nice range where the whale will rise again from its last point of disappearance, and directs the course of the bidarka accordingly. If he is fortunate he will be within ten or twenty feet of the calf or yearling, and as it rounds its glistening back slowly and lazily out from its cover of the wavelets the Aleut throws his spear with all his physical power, so as to bury the head of it just under the stubby dorsal fin of that marine monster; the wooden shaft is at once detached, but the contortions of the stricken whale only assist to drive and urge the barbed slate-point deeper and deeper into its vitals. Meanwhile the canoe is paddled away as alertly as possible, before the plunging flukes of the tortured animal can destroy it or drown its human occupants." "As soon as the whale is thus wounded it makes for the open sea, where "it goes to sleep" for three days, as the natives believe; then death intervenes, and the gases of decomposition cause its carcass to float, and, if the waves and currents are favorable, it will be so drifted as to lodge on a beach at some locality not so very remote from the place where it was struck by the hunter. The business of watching for these expected carcasses then became the great object of everyone's life in that hunters' village; dusky sentinels and pickets were ranged over long intervals of coast-line, stationed on the brows of the most prominent headlands, where they commanded an extensive range of watery vision. But the caprices of wind and tides are such in these highways and byways of the Aleutian Islands, that on an average not more than one whale in twenty, struck in this manner by native hunters, was ever secured; nevertheless, that one alone (when cast ashore) amply repaid the labor and the exposure incurred chiefly by watching day after day, in storm and fog, from the bluffs of Akoon and Akootan. The lucky hunter who successfully claimed, by his spear-head mark, the credit of slaying such a stranded calf or yearling, was then an object of the highest respect among his fellow-men, and it was remembered well of him even long after death. Also, the greatest expression of respect for the size and ability of a native village and its people was the statement that it was so populous as to be able to eat all the meat and blubber of a large whale?s carcass in a single day!" The Arctic Province, by Henry W. Elliott, 1886. He was sent north again in 1872 as U.S. Treasury Agent supervising the Alaska Commercial Company's management of the fur seal industry in the Pribilof Islands. He visited Alaska regularly thereafter, spending much of the rest of his life fighting in Congress to reverse the practices that had led to disastrous declines in the northern fur seal population." The Aleut Corporation annual report has several additional pages focusing the Akutan whaling station and Aleut involvement in commercial whaling in the early 20th Century. Last December I posted a short item on the book and musical, King Island Christmas. King Island Christmas is a children's book about events in the Alaskan Inupiat Eskimo community of King Island in the 1950s. Although the village site on King Island was abandoned many years ago, the King Islanders are still a distinct community in Nome, Alaska. Bill Pennington has a great article on Alaskan high school sports in tomorrow's [Monday, March 1] New York Times. The focus is on the challenges of arranging games between small towns that are hundreds of miles apart, when there are often no roads (for example, there's no road to my home, Juneau, the capital city. We're cut off by mountains, glaciers, ice fields, rivers, and arms of the sea.) A nice peek at life in Alaska. BETHEL, Alaska � It took 90 minutes at sea in a small boat, five hours driving in two vans and 75 minutes on a commuter jet before the boys and girls basketball teams from Seldovia reached Bethel, a remote town in western Alaska. When the players stepped off the jet onto the Bethel tarmac, as flat as the tundra enveloping it, the late-afternoon temperature was 38 degrees below zero. Rie Munoz and her husband Juan went to King Island as teachers in 1951, apparently spending nine months. She's posted Juan's photos of life on the Island, here: "King Island". During the winter the 150-200 residents of King Island were cut off from the rest of the world by sea ice. The year that Rie and her husband were on the island the last ship for the winter arrived, but was unable to drop off supplies and the priest for the Christmas celebration, because of the weather. The islanders carried a light boat made of walrus skin (an oomiak - see Juan's pictures) over the center of the island to the more protected side, in order to bring the priest and supplies in. Rie and Juneau author Jean Rogers later wrote and illustrated the story for a childrens' book: King Island Christmas. Subsequently the book was used as the basis for a musical play. The story behind the play may be found here: "How King Island Came to Be". "The island was named in 1778 by British explorer Capt. James Cook for James King, a member of his party. But it's unclear how long Inupiats lived there. 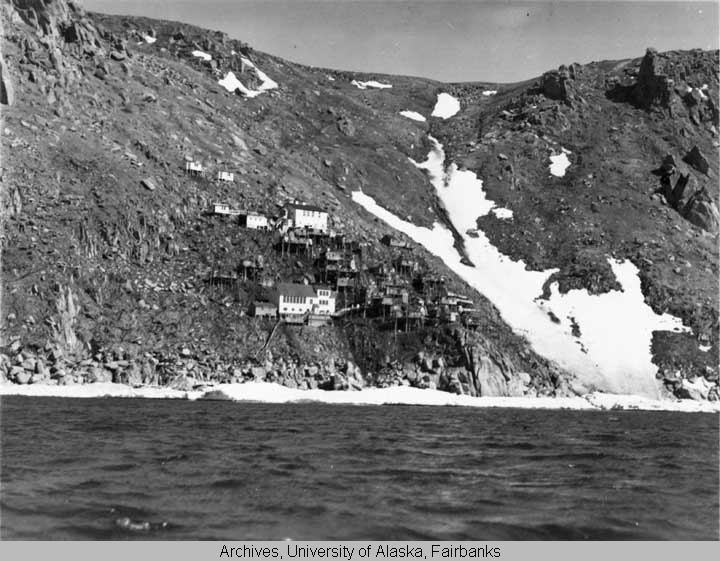 A century ago, about 200 people dwelled in walrus-skin homes tacked to the face of the cliffs. They hunted walrus, seal and seabirds and collected berries and plants. Every summer, they traveled by kayak and skin boat to the mainland 40 miles to the east, camping near Nome, where they sold ivory carvings. Starting in the 1950s, fewer people returned to King Island. The 1960 U.S. Census counted only 49 residents. The 1970 census found none. King Island is among 16 federally recognized Native villages that were deserted or used as seasonal camps. Today, many former King Island residents and their descendants live in Nome. Kingston said several factors contributed to the demise of King Island. Pregnant women were choosing to stay in Nome, where there were doctors. Many of the men were drafted into the military during World War II. In the late 1940s and 1950s, tuberculosis killed some people and hospitalized others. And ultimately, as with other Alaska villages vacated in modern times, paying jobs were available in more accessible towns." A nice story with details of life on the island that I haven't copied over here. There are more King Island posts here: King Island. A spate of news stories about Alaska's senior senator show the potential value to a state, when one of its Senators chairs the Appropriations Committee. Ted Stevens has been senator from Alaska since 1968, and Chair of the Senate Appropriations Committee since 1997. The stories come in two types: some point to Stevens' success in bringing federal dollars to Alaska, others point to Stevens' personal relationships with Alaska business figures. Money for Alaska Mike Doogan's column in the Anchorage Daily News on December 9 illustrates the first type of story: "Cash cow not likely to run dry". "...Stevens, who is chairman of the Senate Appropriations Committee, brings in so much money that the economic effect of his own efforts, beyond what Alaska might get in the normal course of events, have been given a name by economists: Stevens money. A new report by the University of Alaska's Institute for Social and Economic Research suggests that when Stevens is forced to give up his chairmanship at the end of next year, the amount of Stevens money could drop dramatically. There is plenty of reason to worry. Federal spending is the single most important element of Alaska's economy. The new study says that federal spending is high -- more than $11,700 per person -- and that it supports about one-third of all jobs in Alaska. According to a spending watchdog called the Tax Foundation, in the federal government's 2002 fiscal year, the average Alaskan received $1.91 in federal spending for every $1 in income taxes paid. "This 'bang-per-buck'," the university study says, "is nearly twice the national average..." "
"...Before Senator Stevens became chair in 1997, per capita federal spending going to Alaska was between 20% to 50% higher than the national average...Starting in 1999 (two years after Senator Stevens became chair) federal funding per capita going to Alaska increased from about 30% above the national average to over 70% above the per capita national average in 2002 ...From 1997 to 2002 (when Senator Stevens was chair), project grants per capita going to Alaska increased from about 225% to over 500% above the national average... Much of this increase in funding to Alaska is for the Indian Health Services Management Development Program. When we excluded the funding for this particular project from the calculations, the per capita project grant funding to Alaska increased from about 225% above the national average in 1997 to over 300% above the national average in 2002..."
Goldsmith and Larson compare Alaska's experience with Stevens as Appropriations Committee Chair to that of other states with Appropriations Chairs: West Virginia (Byrd), Mississippi (Stennis) and Oregon (Hatfield). Surprisingly, Mississippi and Oregon don't seem to have benefited (in per capita terms) to the same extent as Alaska. This Anchorage Daily News story by Liz Ruskin describes Stevens use of legislative riders: "Stevens' way of lawmaking draws fans, critics. RIDERS: Spending bills make Alaska senator a formidable power.". A second story by Ruskin, from yesterday's Daily News, suggests that the use of riders may have backfired this year, contributing to the failure to pass an important appropriations bill: "Alaska funds may die with spending bill NO GO: Stevens says votes aren't there for $820 billion measure.". A new theme Recently some articles have begun to point to Stevens' involvement (and his family's involvement) in business ventures with persons who stand to gain from actions Stevens takes as Appropriations Committee Chair. Liz Ruskin covered Stevens' relationship with Anchorage real estate developer John Rubini in this August Anchorage Daily News story: "Financial wizard works magic for Stevens. RUBINI: Investing with property developer has turned the senator's financial fortunes around". I posted an excerpt from this story in August, here: "Business and Politics". Today's Los Angeles Times has an extremely detailed story by Chuck Neubauer and Richard T. Cooper along the same lines: "Senator's Way to Wealth Was Paved With Favors". "He wielded extraordinary power in Washington for more than three decades, eventually holding sway over nearly $800 billion a year in federal spending. But outside the halls of the U.S. Senate, which is a world of personal wealth so rarified some call it "the Millionaires' Club," Sen. Ted Stevens (R-Alaska) had struggled financially. Then, in 1997, he got serious about making money. And in almost no time, he too was a millionaire - thanks to investments with businessmen who received government contracts or other benefits with his help. Added together, Stevens' new partnerships and investments provide a step-by-step guide to building a personal fortune - if you happen to be one of the country's most influential senators..."
P.S. December 18, 2003 The Anchorage Daily News picked up on the L.A. Times story today. Liz Ruskin reports: "Newspaper questions Stevens' ethics ACCUSATIONS: Los Angeles Times reports senator and his family have gained financially from his position.". "WASHINGTON -- The Los Angeles Times on Wednesday published a front-page story showing that Ted Stevens and family members have gained financially from business interests that Stevens has helped through his position as a powerful member of the U.S. Senate. The story, the Times reported, was the result of a six-month investigation into the Alaska Republican and illustrates "how lax ethics rules allow members of Congress and their families to profit from personal business dealings with special interests." As the Anchorage Daily News reported in August, Stevens struggled financially for years, but became rich by investing with Anchorage real estate developer John Rubini, who turned Stevens' $50,000 investment in 1997 into an asset worth at least $750,000. Both newspapers reported that while Rubini was multiplying Stevens' wealth, Stevens was helping Rubini secure a $450 million Defense Department contract to build and own housing on Elmendorf Air Force Base. But the Times story provided new details about the Stevens family finances:..."
The Fairbanks News Miner reprints the L.A. Times story: "Report targets Stevens' record". The Juneau Empire doesn't seem to have covered it today. P.P.S The Juneau Empire repeated the L.A. Times story yesterday. Joel Gay reports Stevens' response in the Anchorage Daily News today: "Stevens calls investments ethical. RESPONSE: Senator asserts "I've never sought money from public office". Stevens' replied to the allegations before a press conference in Alaska. His argument is that, after 35 years in the Senate, he has had such a pervasive influence in the state that it would be difficult for him to invest in Alaska without doing business with someone affected by his actions.
" "Stevens said it would be difficult for him to invest in Alaska businesses without intersecting with his own legislation. "If I want to invest at home, with the things I've done in 35 years, I'd have a conflict in anything that could be reportable," he said. "When (West Virginia Sen.) Jay Rockefeller votes on the floor of the Senate, he can't help but have some conflict with anything he votes on ... because he has such an enormous fortune. But that doesn't mean it's a conflict that violates the Senate ethics rules, or should even be something that we would worry about, in my opinion. And I didn't worry about my investment with John Rubini." Stevens scoffed at some of the Times' assertions, such as supporting oil drilling in the Arctic National Wildlife Refuge as a favor for the tenant of the building he owns a small portion of. He supports ANWR drilling because it's right for Alaska, he said, not because it was right for ASRC. "How can you get a person to represent this state who has no interest in the state for the future?" he asked. "They draw too thin a line on conflict of interest. That's why we have the disclosure, so people can see it and we can have stories like this and you can examine it yourself." "
P.P.P.S. 12-21-03 Mike Doogan, Anchorage Daily News columnist, offers a vigorous defense of Stevens today: "Stevens makes case on investing". Sometime earlier this week a grizzly bear in Alaska's Katmai National Part attacked, killed, and ate (or cached for future eating) a nationally known bear "expert" and his girlfriend. I posted links to two stories by Anchorage Daily News reporter Craig Medred, here: "Alaska grizzly bear attack". Those stories described the almost unbelievably foolhardy behavior of the party. An Alaska Department of Fish and Game bear biologist has investigated the scene and filed his report on what happened. The Anchorage Daily News carries Medred's story on that report today, here: "Biologist believes errors led to attack". The biologist's report describes almost unbelievable behavior - pitching camp right next to a bear trail, approaching to within 10 feet of a sow with cubs. Outdoor writer and bear expert Timothy Treadwell and his girlfriend were killed and eaten by a grizzly bear in Alaska's Katmai National Park. Apparently the attack was accidentally tape recorded. "Scott Moody, the foundation's senior economist, said Alaska ranks near the list's top because of a proportionately large number of federal employees and an unusually high number of dollars granted to the state and local governments. "A large number of federal employees usually reflects large military bases, Moody said. That's a characteristic Alaska shares with New Mexico. "The abundant grants to Alaska's state and local governments are harder to explain, Moody noted, but Sen. Ted Stevens is likely one reason. The Republican senator is chairman of the Senate Appropriations Committee, a post he first gained in 1997." The report itself is on the Tax Foundation's web site, here: "Federal Tax Burdens and Expenditures by State"
Laurie Snyder, Slate copy chief is spending a week fishing in Southeast Alaska. She is reporting on it in the Slate "Diary" feature, here: "Laurie Snyder, Slate's copy chief, is spending the week on a fishing boat in Southeast Alaska." Monday she arrives in Juneau and comes face to face with a black bear (too - see the end of my previous posting).